John O'Sullivan and Jim McIntyre. 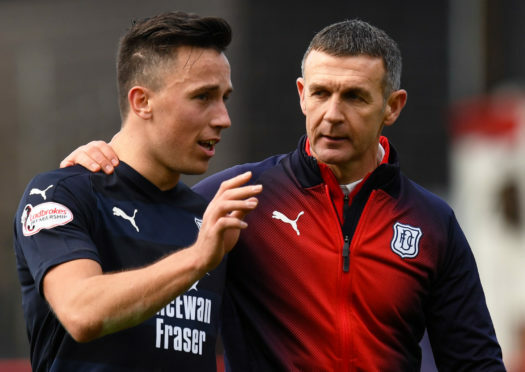 Points are more important than praise for Dundee, according to midfielder John O’Sullivan. The Dark Blues were unlucky to be beaten by Celtic at the weekend, and it was a similar story against Hearts the week before. 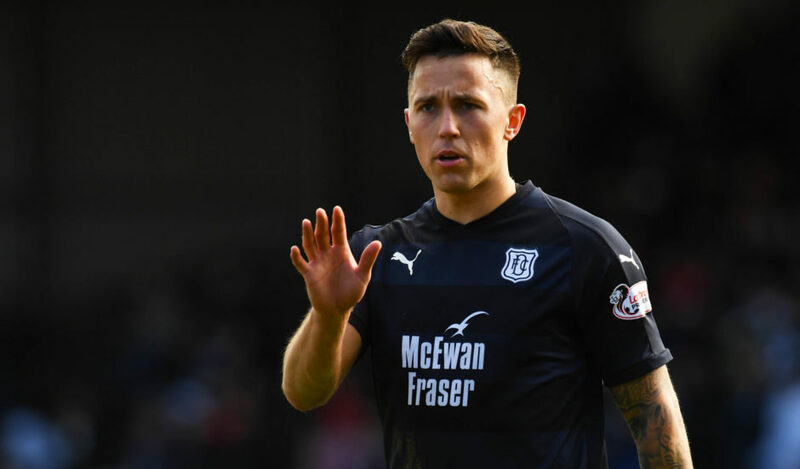 But with only one point separating them from bottom of the Premiership St Mirren, and a six-point gap to Hamilton Accies above them, the Dens Park side need more than plaudits. O’Sullivan, who made his first start for the club against the Hoops, said: “We could even have nicked the game at the end but that’s the difference – why Celtic are top of the league and we are where we are. “It has been the story of the last few games. “We’ve had a new group of lads come in and we are a better team than was here before. It’s taken a bit of time but you saw against Celtic what we can do. St Mirren are up next after the international break. O’Sullivan said: “We’ll be ready for that. We have to be. We’ve got to win. St Mirren is the one. “I think we need six points from the last three games before the split, minimum. Wherever they’re going to come from, we have to get them. O’Sullivan has had to be patient for his chance after arriving at Dens in January. He said: “I’ve been doing a lot of work behind the scenes to get my fitness up. I’ve been staying to three o’clock every day, working with the fitness coach, to get to where I want to be. “The gaffer knows I have the quality and I think I’ve shown that in games when I’ve come on.